TCA Limited was incorporated on September 23, 1990. The company was originally called Trent Cosgrove and Associates Limited. Trent had worked for a few Canadian customs brokers prior to 1990. His brokerage experience made him recognize the need for importers to have access to experienced industry professionals to help them navigate the extensive laws and legislation administered by the Canada Border Service Agency (CBSA). Many importers are busy managing the day to day business and struggle to keep up with the ever changing customs regulations or special duty recovery or compliance related demands that arise. Trent’s new employer (an importer in the computer industry) allowed him to work part time on consulting projects provided it did not interfere with his full-time day job. Other than a few small accounts that generated a bit of revenue in the first couple of years, not a lot happened with TCA from 1990 to 2003. Trent was busy with the computer company. The small computer importer had grown rapidly and eventually became a publicly traded company and made the list of the Forbes Fortune 100. Meanwhile, Trent’s responsibilities during this time had grown until he held the title of Senior Director of Canadian Corporate Operations. In early 2003 everything changed. The computer industry had slowed and Trent’s work life took a new direction. With the support of his family, Trent decided to pursue his passion of providing customs advisory services to importers and customs brokers. The first year was very challenging. Two of the first six months had total revenues of $0.00. As time went on, business slowly grew. Trent could not afford to pay a proper salary but recognized he needed talent to help with the business. In late 2003, Brad Currie left the same computer company that Trent had worked for and joined TCA, taking a combination of a small salary and shares in TCA as compensation. TCA has been profitable every quarter since mid-2004. As the company continued to grow it was decided the name needed to change. The company name was legally changed in 2005 to Transportation and Customs Advisors Limited. In 2005, Cara Nelson joined TCA Limited as a summer student. She continued to work part time while completing her University degree. When Cara finished her studies, Trent and Brad recognized her contributions to the success of TCA and offered her a partnership in the company. Today, TCA Limited’s clients are quite diverse; from customs brokers and small start-up businesses to Fortune 500 companies worth literally hundreds of billions of dollars. One of our clients has even appeared on CBC’s Dragon’s Den. 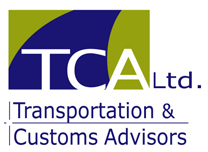 The associates at TCA have experience working for both customs brokers and importers and know that special duty recovery or customs compliance related demands often get interrupted by the everyday demands of running a department. TCA can help you look after these customs related opportunities and challenges while you continue to manage your business. The three partners in the firm work really well together. They each have unique strengths that complement each other and offer diverse solutions to each project. TCA believes that work should be enjoyable. 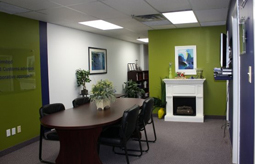 Everyone in the company enjoys going to the office every day and working with clients. This is evident in the relationships and the positive results. Profit sharing; all employees are incented to delight our clients. The company’s most important accomplishment makes a clear statement about what they have built: TCA has never lost a client!